Dunhill Black Cologne by Alfred Dunhill, Black is always urbane and edgy, especially for men; as is this woody aromatic fragrance. Notes are sophisticated, including nettle, aromatic lavender, and nuances of jasmine; base notes are suede, guaiac wood and virginia cedar.All products are original, authentic name brands. We do not sell knockoffs or imitations. With over 100 years of history, Alfred Dunhill is a brand which is rich, yet complex in its perception. It began with the dream of one man- Alfred Dunhill- the quintessential English investor. Obsessed with detail, fanatical about quality and craftsmanship, his talent lay in creating exquisitely designed, ingenious accessories for the perfect gentleman. 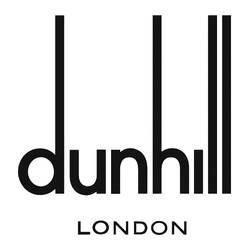 Today, Alfred Dunhill has transformed the inherent qualities of masculinity, ingenuity and Englishness into a contemporary attitude which is relevant to an international consumer. Alfred Dunhill provides a distinctive point of view with products that are sharp, urban and knowing and always with a twist of ‘more than meets the eye’.